5:10 pm: "Surround the Mound" --All survivors are invited to come to the pitcher`s mound to be recognized and honored; All caregivers are invited to line the walkway to the mound. 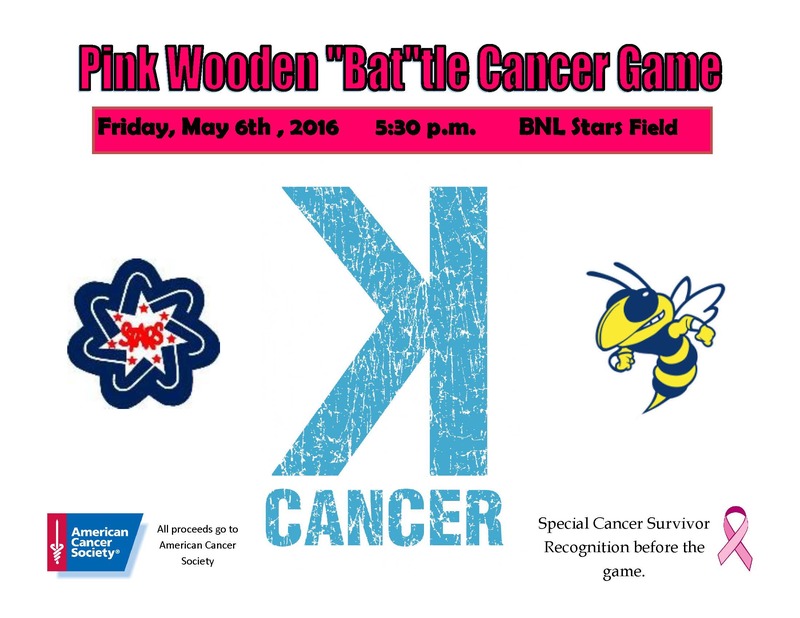 Between innings 2 and 3: There will be a bucket pass to raise money for Coaches vs Cancer/ American Cancer Society [JV and freshmen players of both BNL and Mitchell will take the buckets around]. At the conclusion of the game we will do a balloon release to celebrate the survivors AND do the DUNK A COACH for those players that have raised $50 or more for the event.